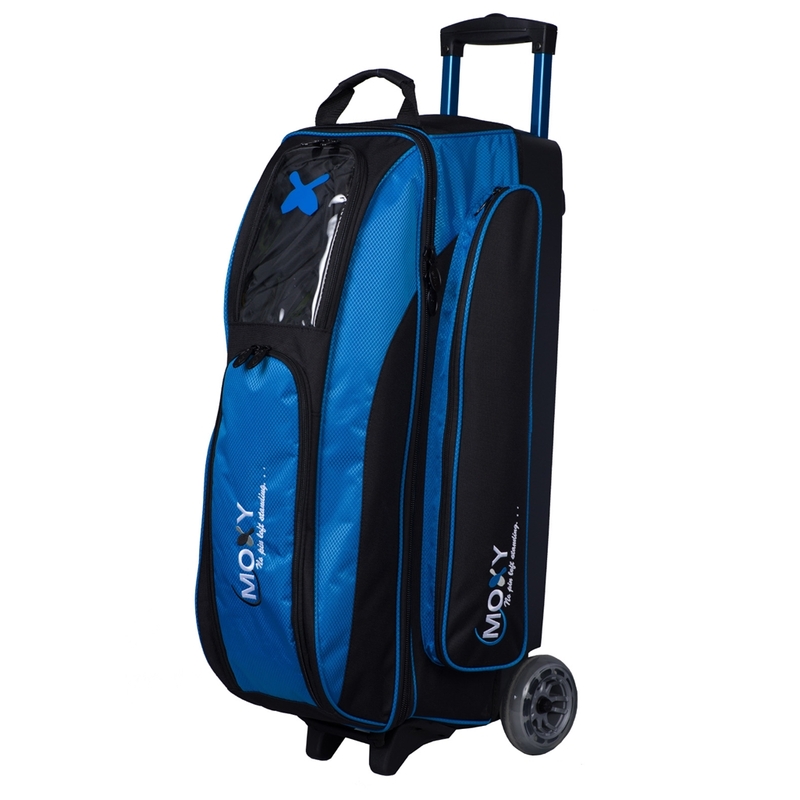 This Moxy Blade 3 Ball Roller Bowling Bag has a smooth, quiet ride. It features a large accessory pocket for your bowling accessories and has an extra large shoe compartment that has enough room for two pairs of shoes. It also features 5” Smooth urethane wheels with steel bearings for an ultra smooth quiet ride.